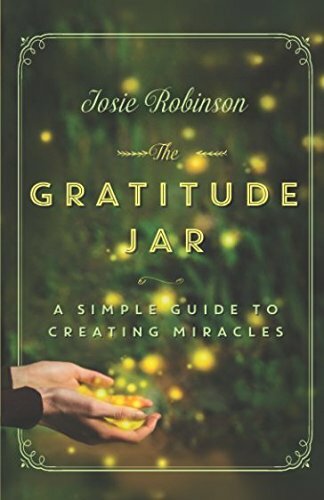 I love telling the origin story of The Gratitude Jar book because it's a bit magical. 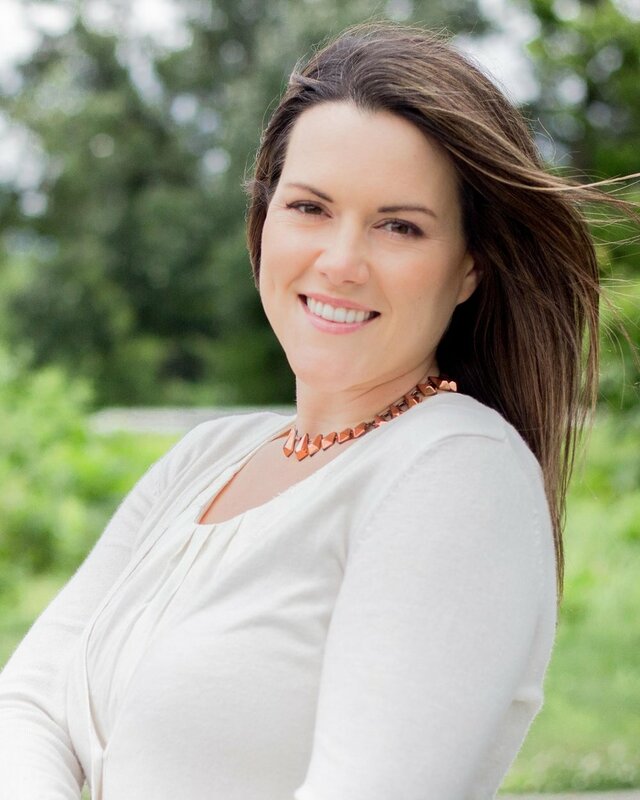 Recently I got interviewed by my hometown newspaper about how The Gratitude Jar book came to be and realized afterwards it was time to share that story with all of you, too. One of my favorite things to do is read the "behind the scenes" of how books were written and it never occurred to me till now my readers would enjoy hearing the same from me. As you'll see from my interview, I never planned on becoming an author. The real truth is, many, many years ago I had a very powerful dream where I was told to write a book that would help lots of people. That dream was the thing that sparked me to write The Gratitude Jar. Stephanie Meyer had a dream about a girl and a sparkly vampire in a meadow that later turned into Twilight. Richard Bach dreamed up the ending to Jonathan Livingston Seagull. Me, I had a dream where I was told I was going to create a healing method that would help a lot of people and I was supposed to write a book about it. For a long time I thought it was crazy to write a book because of a random dream and spent an inordinate amount of time Googling authors who had dreams about books before writing them. Turns out, it happens on the regular ala authors like Meyer and Bach and was in good company. But I have a sense if I wouldn't have listened to that dream all those years ago and followed up on it, someone else would have because the world needs the message The Gratitude Jar contains now, more than ever. The truth is, I really didn't come up with the story of The Gratitude Jar, it came through me. That's how I felt while I was living it and writing it, anyway. I’ve been writing ever since I was little, starting when I was about five years old. There’s an old cardboard box in my storage room filled with stories I wrote during childhood and I think I took every writing class my high school offered. I was that kid who always had her nose in a book or was scribbling away in a notebook - I just always loved reading and writing. My mom was a librarian and my dad was a teacher so I had to right? Joking. But I am eternally grateful to my folks for raising me in an environment filled with books and instilling a lifelong love of learning in me. It had a huge positive impact. When I got to college I took every writing class they had…but it still never occurred to me to pursue writing further because I always saw writing as a hobby, not an actual job I could do. So I got my degree in counseling and became a school counselor in the Twin Cities and quit writing altogether. Looking back, I realize I’ve always been a writer. It’s something I should have gone after as a career, but I’ve always been a bit practical and that side usually won out when there were bills to pay. I thought maybe I’d pick up writing in retirement. Being an author truly wasn’t on my agenda even though all signs were pointing me there. It wasn’t until I had a really powerful dream shortly after the birth of my first child that I started writing again after a five year writing hiatus. Ultimately, this dream was the catalyst for The Gratitude Jar book and inspired me to pursue writing more seriously. What inspired you to write The Gratitude Jar? Shortly after my first son Lucas was born I had a vivid dream that really resonated with me. In the dream I was at a book fair standing in front of a table filled with books, and somehow I knew I had written the books stacked on the table behind me. I picked a book off the table and flipped through it - all the pages were completely blank. As soon as I had the thought an older woman with shimmery grey hair walked towards me and said something I still carry with me to this day. In the dream I quickly told her she had the wrong person - I wasn't writing any more and definitely didn't have a healing method to offer people. Plus, I was also in the middle of an epic battle with alcohol addiction and postpartum depression at that time. She laughed and assured me I was the right person and when the time was right the words would come, but I needed to be open and listen for them. She also said I needed to start writing daily to prepare for when it was the right time. I asked if she could give me a hint of what the book would be about, to which she smiled at and said I would simply know when it was time. I didn’t begin writing The Gratitude Jar that day, that didn’t come until many years later. But I did start waking up very early each morning and wrote whatever came to mind. I realized from taking so many years off of writing that I needed the practice because those initial writings were terrible. But eventually, I got into the flow again. Then four years after I had my dream the extraordinary series of events that became the story of The Gratitude Jar happened and I knew at an intuitive level I was supposed to write about them as they were unfolding. And because I had been doing a daily writing practice for four years before I actually started writing this book, I was a much better writer than if I’d never listened to that dream all those years ago and started writing in the first place. Sometimes dreams really do come true because that’s how The Gratitude Jar came to be. It was amazing to flip through and see words instead of blank pages like I had in my dream. It’s all a bit mystical and extraordinary to see a dream come into being like that - I still get goosebumps thinking about it. 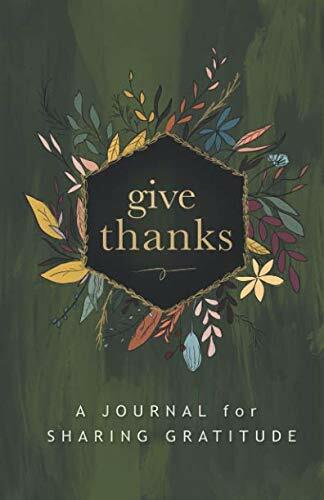 The best part of publishing The Gratitude Jar has been the response I’ve gotten from people who’ve read it and used the Give THANKS technique outlined in the book. I get so many emails and phone calls from people saying how practicing gratitude changed their life, just like it did for me. The overwhelming thing I hear is how much happier people feel after reading and using the Give THANKS practice. Happiness was something I experienced too, which, as I talk about in the book really surprised me because happiness was always elusive for me. I truly believe experiencing gratitude on a regular basis will bring about more positive changes than anything else and my mission is to share this message with as many people as I can. That, to me, is why I write. To help and inspire others. I have the best of both worlds right now because I work part-time as a school counselor and part-time as a writer. I really enjoy being a counselor and also really enjoy writing. There’s a balance there because writing is pretty solitary and I need the social interaction my counseling job brings. Being a full-time writer someday would be pretty incredible. Are you currently working on anything, or do you have plans to? Definitely. But my next book might be awhile....writing a book is like having a baby - there’s a lot of energy involved in the process. Just like there are moms who can pop out babies one after another and do an amazing job raising them, there are writers who can pop out one incredible book one after another. I’m not one of those writers. I’m like a turtle when it comes to writing books. I also feel like The Gratitude Jar was such an amazing series of events and really want to nurture it as much as I can before moving onto the next project. My publisher says the first year after your book release is like raising an infant. There’s a whole new set of skills I’m learning now to promote the book: public speaking, media interviews, blogging, using social media, etc. It’s great though because I’ve met a lot of interesting people and gotten out of my comfort zone...but it’s kept me from having the focus to start the next book. There’s a glimmer of an idea for another book that keeps making an appearance in my head, but I’ve been pushing it away while promoting The Gratitude Jar. I know how inspiration works though, and pretty soon the idea will be unavoidable. And I’ll be writing the next book.